This was much more attractive when I first photographed in 2016 and when I photographed it last year it did not look great but at least it was still a water feature. 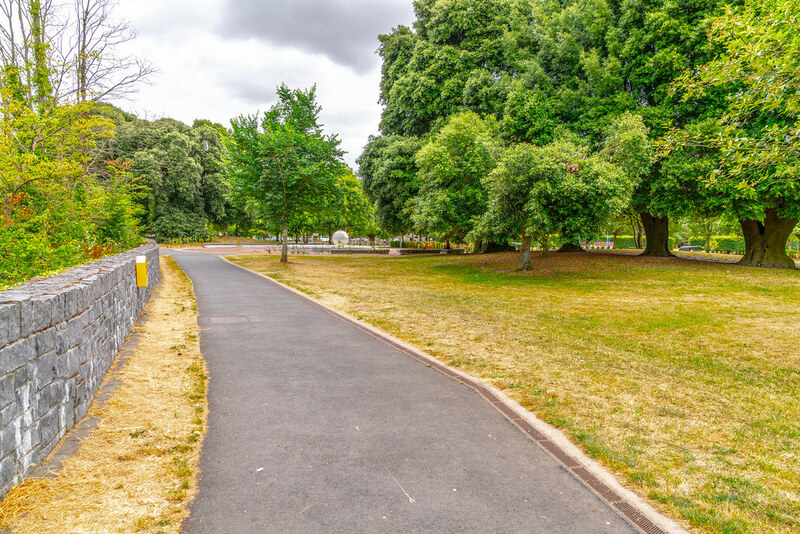 I do appreciate that because of the current heatwave there may be a shortage of water but I suspect that it is not being maintained. 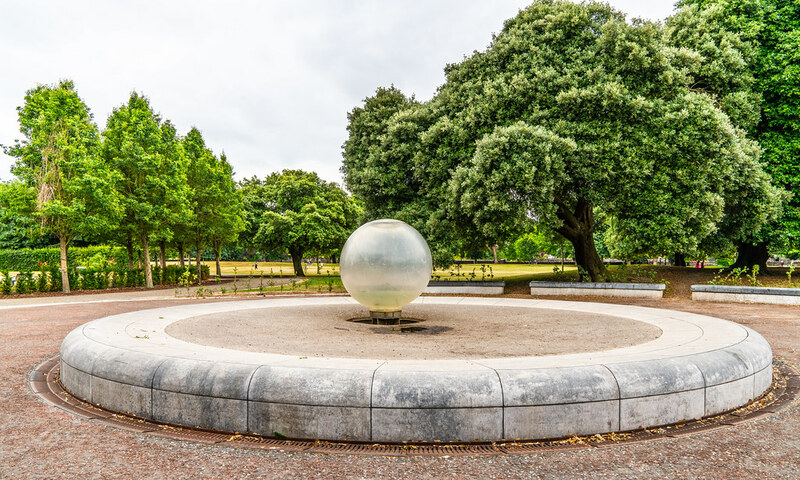 One thing that I have noticed in Ireland is that water features are never properly maintained and eventually they become non-water features. 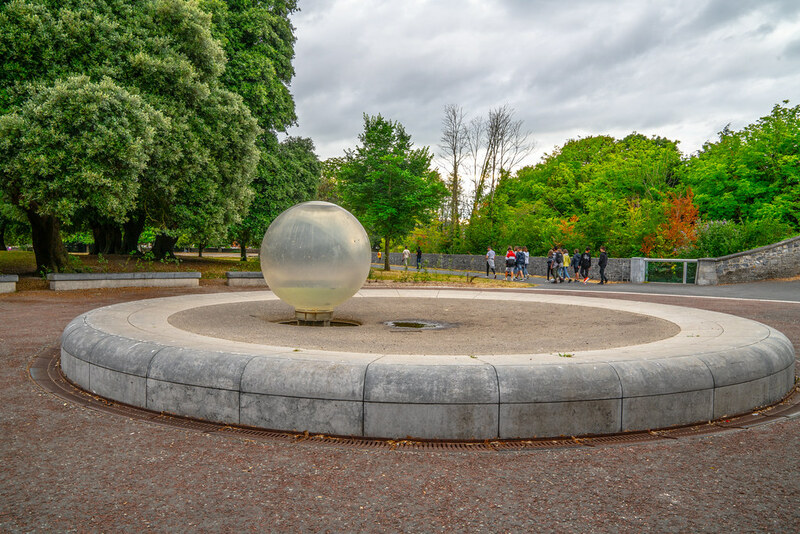 In 1999, artist Tina O’Connell was commissioned to re-create a fountain on the same site as where there had been a Victorian style tiered fountain which had fallen into disrepair. 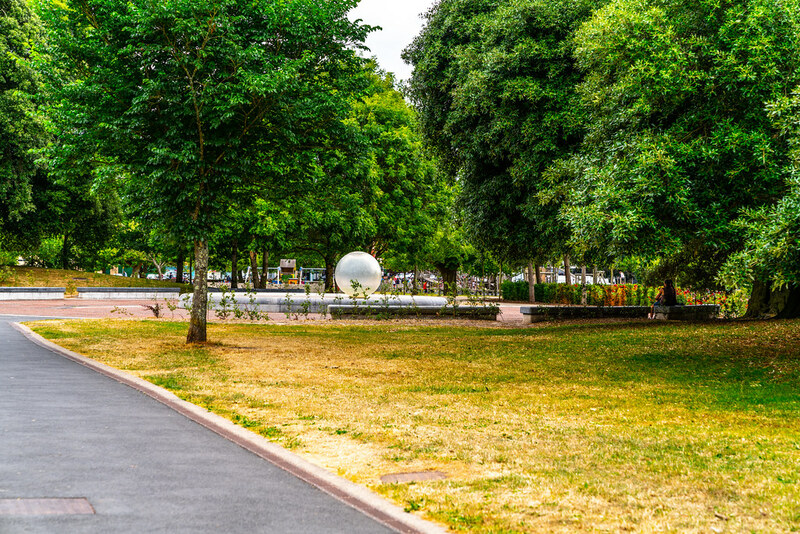 Thus Tina's contemporary sculpture is also a fully functioning fountain. After an extended period of research into the materials and of development 'In-Visible' was finally sited and fully installed in 2002. 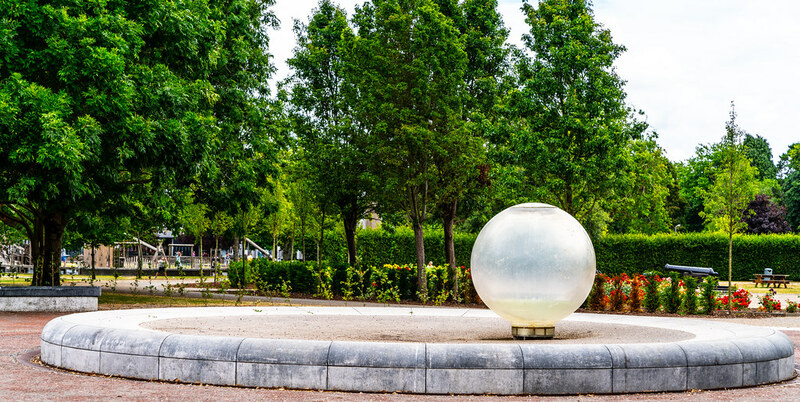 ‘In-Visible’ (2001) is a contemporary sculpture incorporating a water feature. 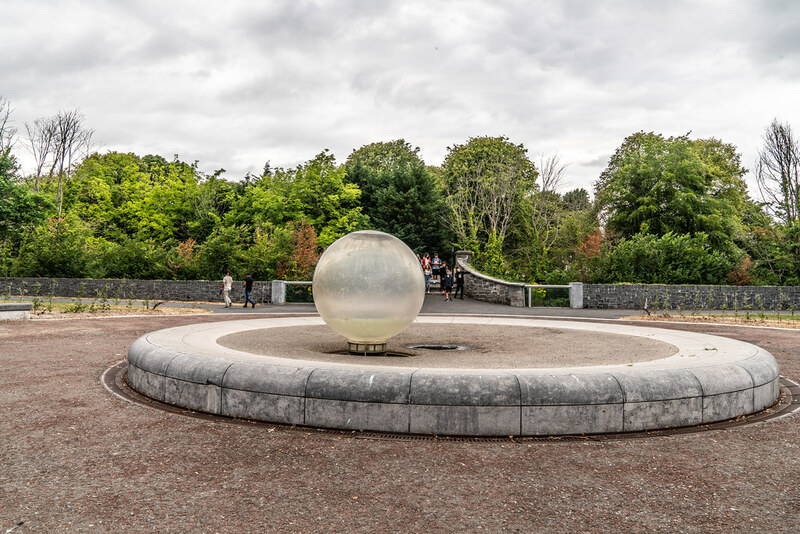 Inspired by the connection between Waterford City and the world famous Waterford Glass industry, O'Connell's work consists of a very large transparent acrylic sphere (2 metres in diameter), over which clear running water continuously flows, and which is positioned on a large, circular platform made from black Kilkenny marble [must have been removed]. 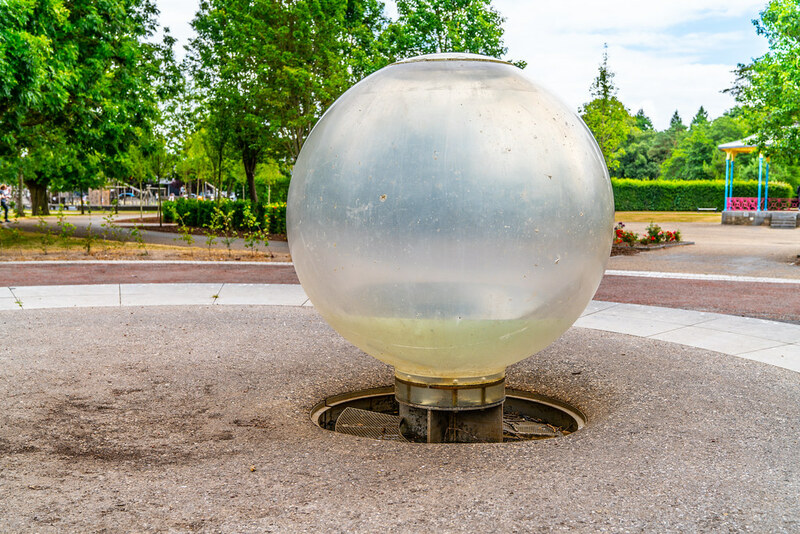 The work has been referred to locally as the ‘Orb Fountain’.